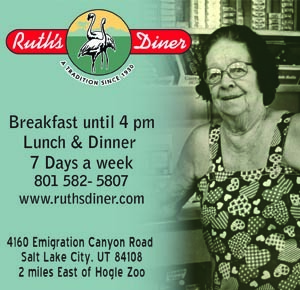 Long before Guy Fieri raved about the pork belly with braised white beans and Carolina BBQ sauce on his Food Network show Diners Drive-Ins & Dives, I was singing the praises of Park City’s Silver Star Cafe. 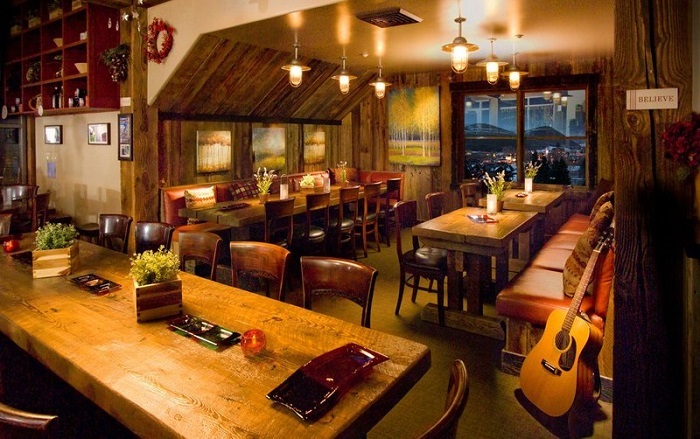 It’s a somewhat hidden gem, situated adjacent to Park City Mountain Resort and Park City Golf Course with spectacular mountain views and excellent food and service to match. 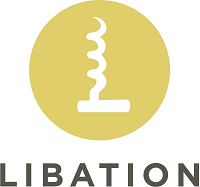 It’s also a family affair, where owners Jeff and Lisa Ward and a staff of friendly professionals – some of them family members and friends – make every guest feel like family. Like the nice vibe at Silver Star Cafe, the food is elevated and appealing, not intimidating. 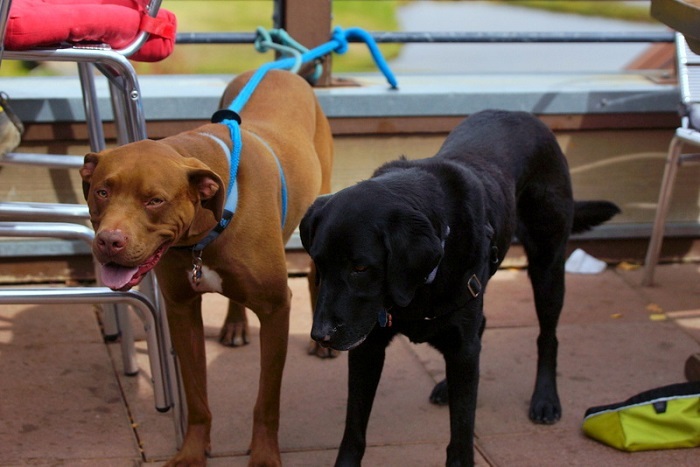 And adding to the great feel is that this restaurant is dog-friendly in warm weather when deck dining is de rigueur. Thankfully, heat lamps and fire pits make deck dining a year-round option. Chef/owner Jeff Ward launched new menus this week, while keeping some Silver Star faves such as the popular Pork Osso Bucco ($28) made with Niman Ranch pork shank, Vegetarian Wild Mushroom Stroganoff ($26.75), and the gluten-free Mary’s Organic Buttermilk Fried Chicken ($28) – all rib-sticking, hearty dishes that supremely satisfy winter palates. Lunches and weekend brunch are busy at Silver Star Cafe, and I really love the eclectic nature of the mid-day menus. 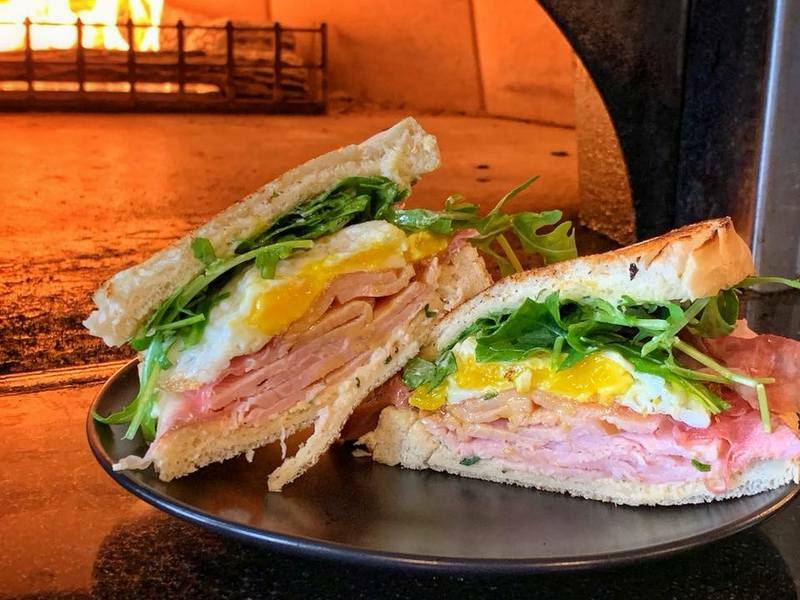 You’ll find an array of options from breakfast items like Chicken & Waffle ($16.50) and Banana Bread French Toast ($14) to hearth-fired artisan pizzas, entree-sized salads, sandwich, burgers and more. I really like the top-notch from-scratch pizzas such as the Spinach and Roasted Tomato Pizza ($17) with artichokes, portabella, roasted red peppers and feta cheese. 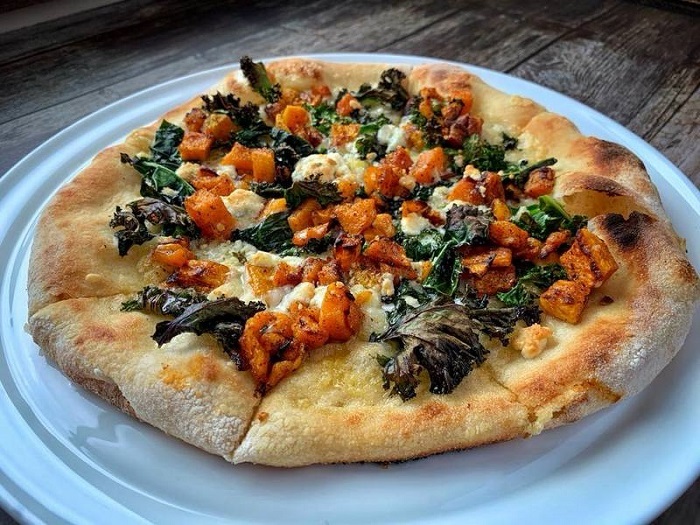 The new menu sports some new pizza offerings like a Bacon & Egg Pizza ($18) with shaved red onion, Gruyere cheese and fresh herbs and an innovative pizza with Butternut Squash & Kale ($17.50), made with sumac-roasted squash, Fontina cheese, Blue cheese and balsamic syrup. As I mentioned, salads at Silver Star are one-dish meals. There’s nothing dainty about them. 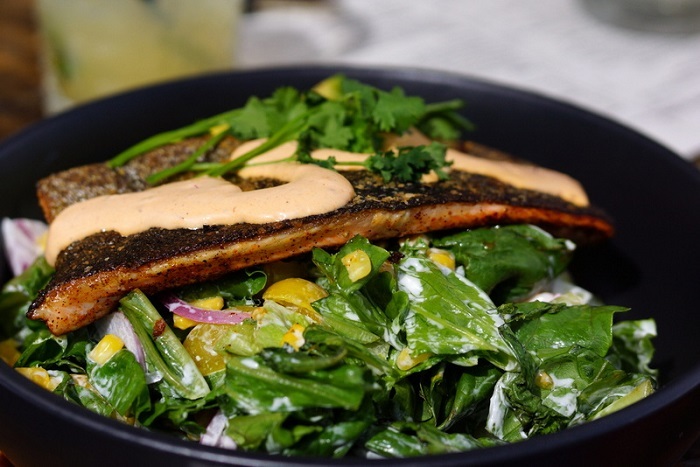 The generously portioned Chili-Rubbed Trout Salad ($17) is one example: It’s made with fresh greens (Romaine before the recent Romaine health scare), roasted corn, red onion, grape tomatoes, avocado, lime-cilantro dressing and chipotle crema. 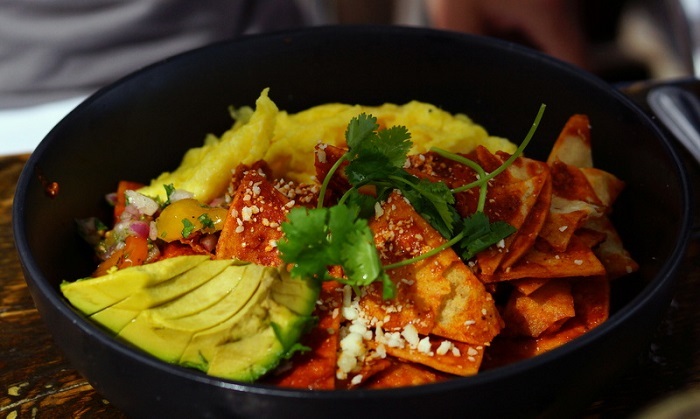 Another hearty favorite for me is the Cafe’s Chilaquiles ($15.50). This is a Mexican-style breakfast staple of fried mole-bathed tortilla chips with sliced avocado, Cotija cheese, two eggs and pico de gallo. It’s a delicious dish and made even better with a Silver Star Sour cocktail or Lime-a-Lada to sip alongside. Speaking of drinks, Silver Star Cafe has an excellent beverage selection of classic and signature craft cocktails, beer, and wine (including Private Label Wines by the glass which support the local non-profit, Arts Kids). 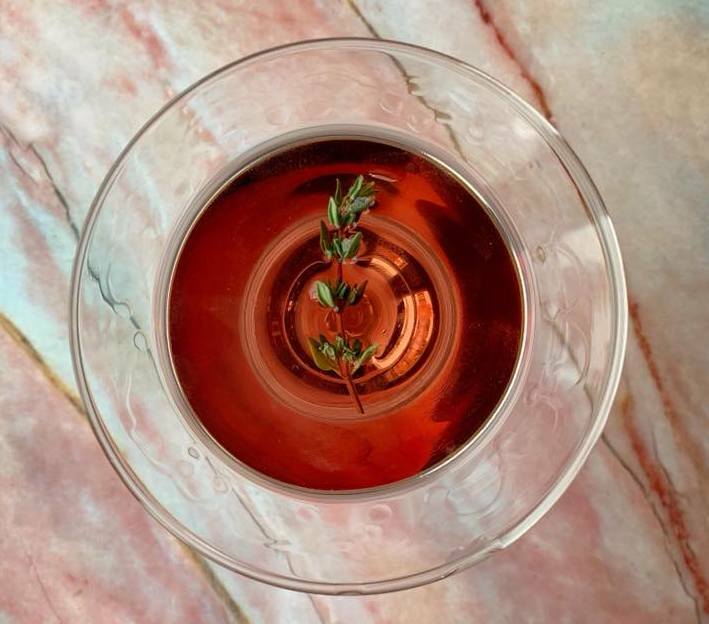 A new killer cocktail for the winter season is the Thyme Traveler, a luscious concoction of local Beehive Gin, Beehive Vodka, Lillet Rouge and a fresh thyme sprig. 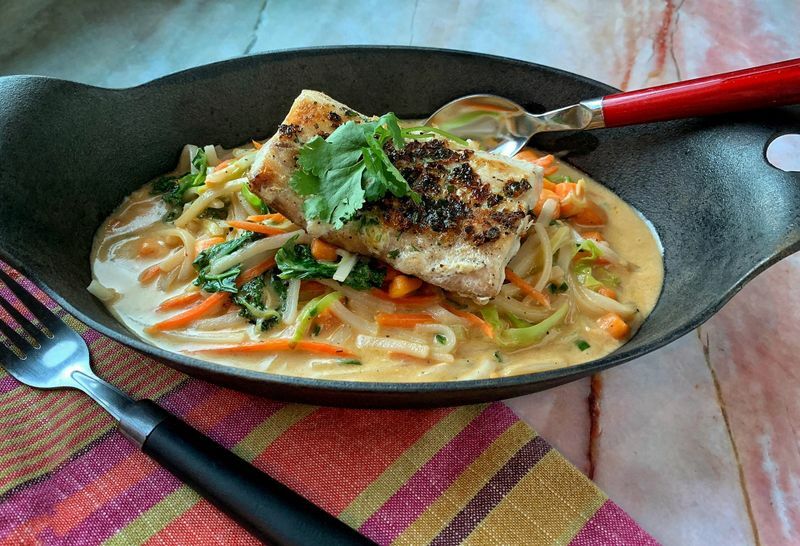 New dinner items for the winter menu include Chef Ward’s Spice-Crusted Mahi-Mahi with red curry coconut noodle broth, sweet potatoes, carrots and kale. Like many Silver Star dishes, this one is gluten-free. 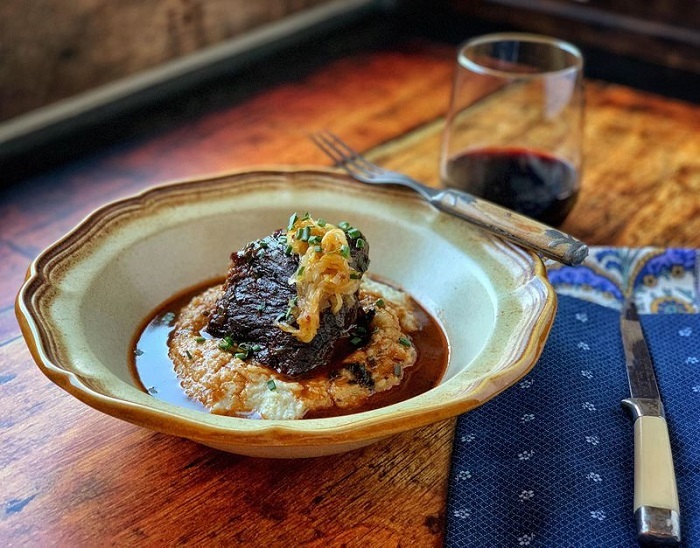 Or, meat lovers will certainly enjoy Ward’s Braised Short Rib with truffled polenta, Gala apple-onion marmalade, braising jus and roasted Brussels sprouts. 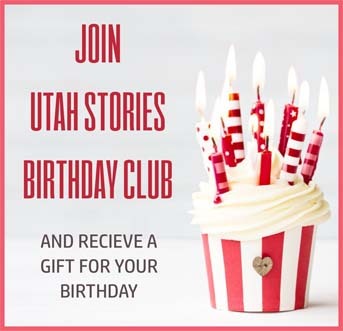 I can’t imagine that you’d need any additional enticement to pay a visit to Silver Star Cafe. However … some of you are a hard sell. So allow me to sweeten the deal a little. 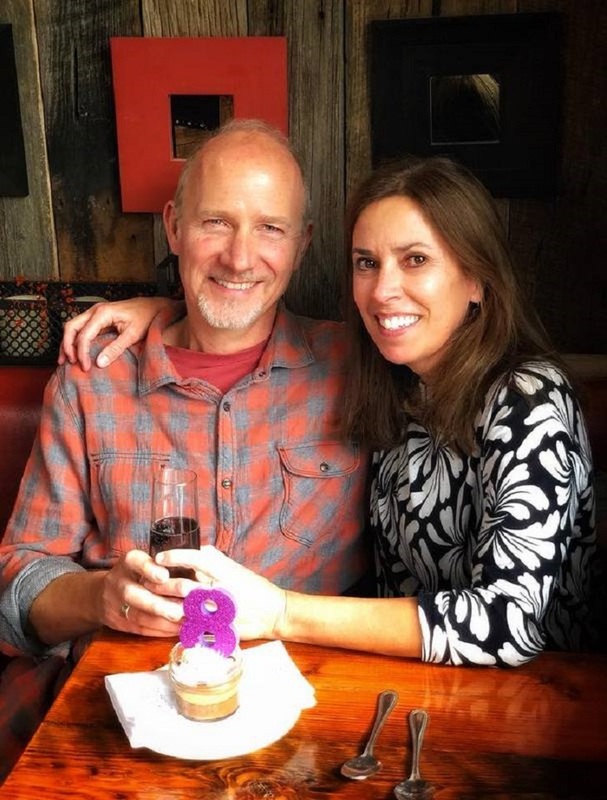 Every Thursday, Friday and Saturday evening Lisa and Jeff Ward host acoustic music dinner shows featuring both local and nationally-known live musicians – mostly singer-songwriters. There is no cover or additional charge for the shows, but be sure to make a dinner reservation in advance since these very popular shows fill up fast. 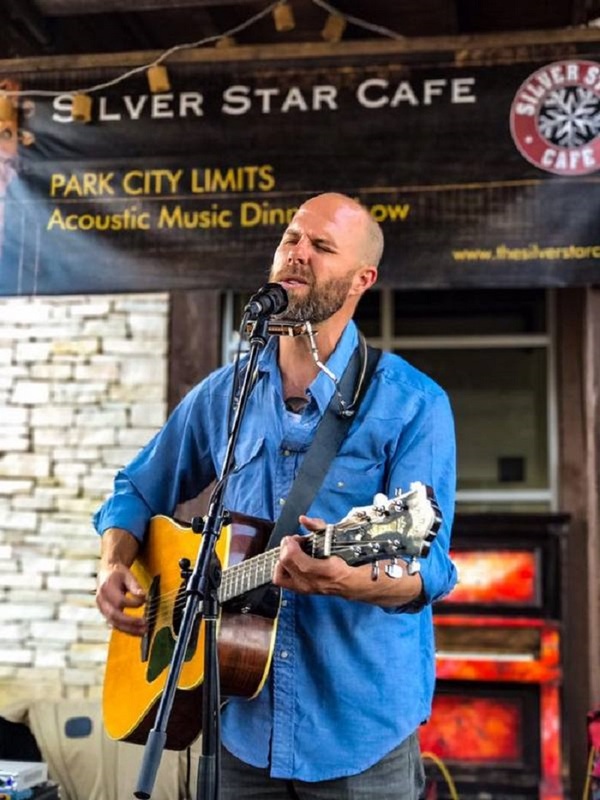 You can check out the live music schedule on the Silver Star Cafe website.